Spray 2 1/2- to 3 1/2-quart slow cooker with cooking spray. 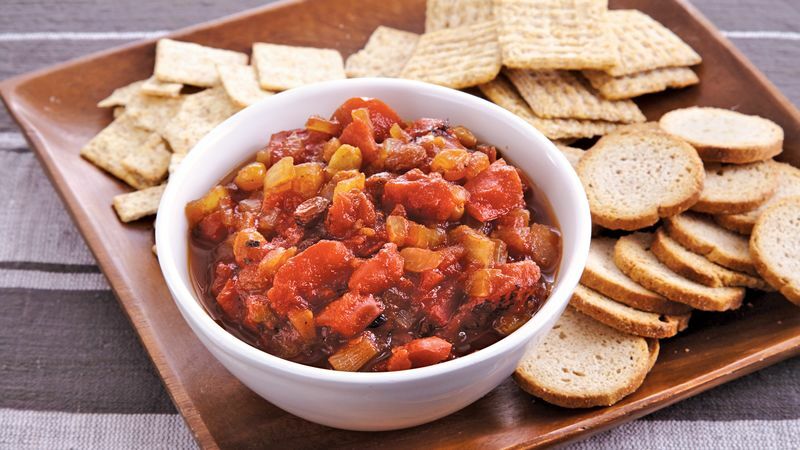 In slow cooker, stir together all ingredients except crackers. Cook uncovered on High heat setting 6 hours or until thickened. While it's unusual to leave the slow cooker uncovered, that’s what allows the chutney to thicken.